3 Differences in Employment and Labour Law in Canada and U.S.
On their surface, Canada and the US can seem very similar. However, even a quick glance at the employment and labour law in each country reveals stark differences. A US business expanding into Canadian markets needs to understand and respect the differences in employment and labour law. A US company that tries to operate under the same rules in Canada as they do in the US will soon conflict with Canadian authorities. While there are many differences between Canadian and US employment and labour law, these three examples demonstrate just how wide the disparities can be. Throughout most of the US, employees work "at will." 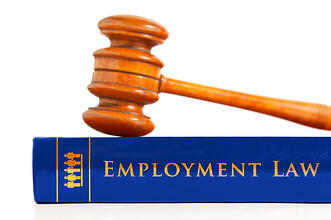 This means that employers can dismiss them without cause, and with little or no notice. In most cases, it is up to the employee to prove that they were dismissed without cause to qualify for unemployment compensation. In Canada, an employee who is to be terminated, even with cause, must be given appropriate notice, or be paid in lieu of that notice. The amount of notice required, or the amount to be paid in lieu, varies from province to province, and can be affected by the length of employment, overall wages, and employee classification. Any contractual provisions that reduce the required notification or payments in lieu below statutory minimums are unenforceable and will be ignored by the courts. Both countries have statutory provisions against discrimination against employees with disabilities. In the US, the definitions of "disability" are limited, and the accommodations required are also limited. A US company is not required to undertake accommodations that would cause an undue hardship or burden. While they can't discriminate against employees with disabilities, they aren't required to undertake drastic measures to accommodate them, either. In Canada, employers are required to make accommodations, even if they pose and undue hardship or burden on the business. This requirement will vary depending on the disability, and the nature of the business. Moreover, unlike the US, conditions like alcohol and drug dependency fall under the definition of a disability. A US-based company that refuses to make accommodations for treatment time or other dependency programs could run afoul of the non-discrimination laws. In the US, employers are largely free to change the terms and nature of the employment as they see fit. If the employee continues to work, this is viewed as their acquiescence to the changes. Essentially, a US company can make wholesale changes to the contract of an employee and, if the employee doesn't quit, they are viewed as having agreed to those changes. Canadian employment and labour law takes quite a different view on the matter. If the contract or terms are changed after employment, the employee is owed a consideration or raise. Continued employment is never viewed as consent to the changes. The only consent accepted by the courts is active, willing, un-coerced consent to the changes. If the employee refuses to consent, and is terminated, the employer will likely owe them any payments, bonuses, holiday, and overtime pay that they would have earned during the period of statutory notice. These three examples hardly begin to describe the differences between US and Canadian employment and labour law. While there are many similarities, the US and Canada are very different countries. Where US employment and labour law is designed to protect businesses or, at best, strike a balance, Canadian employment and labour law is designed to protect the workers. To avoid running afoul of these differences, it's usually best to consult with a professional payroll or employment agency.